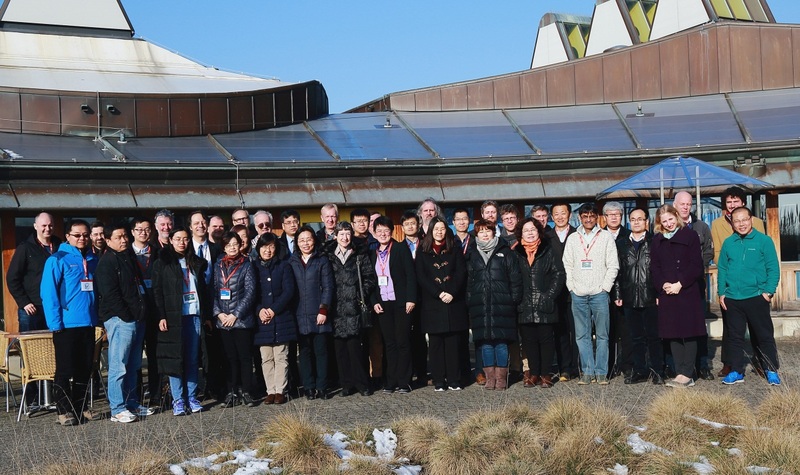 The 8th Consorting Meeting for SMILE Mission Science Study Team is successfully held at ESTEC in Feb13-16, 2017. More than 50 experts and engineers attended the meeting. They are from UCL-MSSL (UK), Leicester Univercity (UK), University of Calgary (Canada), University of Liege (Belgium), University of Graz (Austria), ESA, ESTEC, NASA-GSFC (USA), Johns Hopkins University (USA), University of Bergen (Norway), RAL Space - Warwick Univercity (UK) and CAS-NSSC (China), CAS-SECM (China), Polar Research Institute of China, National Center for Space Weather, etc.The meeting was co-hosted by the study scientist C. Philippe Escoubet (ESTEC), and Chief Scientist Prof. Wang Chi (NSSC, CAS), and Prof. Graziella Branduardi-Raymont (UCL). The meeting first reviewed the Science Objectives of SMILE mission and the general consensus reached in the previous meetings. As much as 30 reports, including 14 engineer related reports were arranged as the mian content of the meeting. The meeting also included 19 academic lectures covering topics such as recent highlights on auroral imaging, MHD simulations with PPMLR-MHD code, modeling of bow shock and magnetopause detection, etc. The 8th SMILE consortium meeting was co-hosted by ESA and CAS. Engineers on both sides also discussed about the satellite configuration optimization, PLM main optimization, propellant margin, AIT discussion and thermal model format etc.